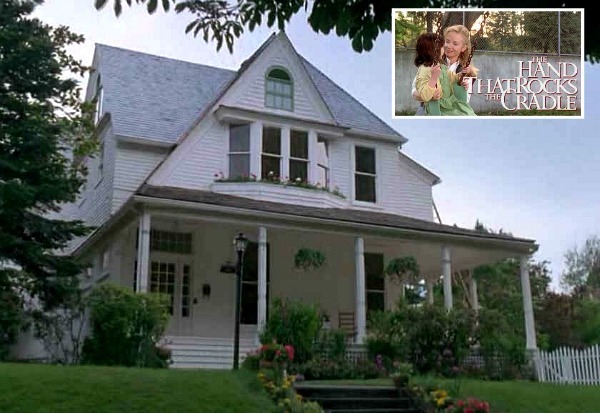 Since Halloween is around the corner, I thought it would be fun to revisit one of my favorite movie houses: the romantic Victorian built for the 1998 movie Practical Magic. It’s one of the most-searched-for houses on my site this time of the year, so I know I’m not the only one who loves it! 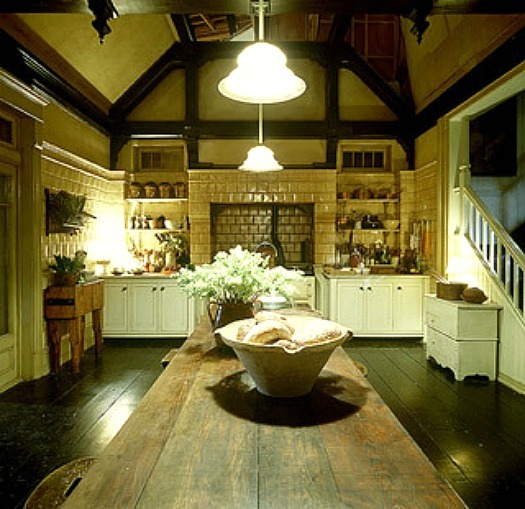 Director Griffin Dunne hired Robin Standefer and Stephen Alesch of Roman and Williams to design a house that looked like it could be home for generations of witches. After the movie came out, we all flipped for it and wanted to know where the house was. Standefer and Alesch were inspired by both Victorian houses with 19th-century scrollwork and East Coast lighthouses. 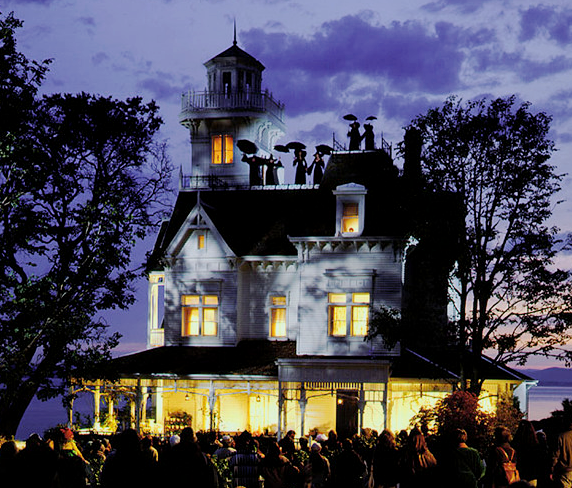 The story takes place in New England, but the house was actually built on San Juan Island in Washington (Friday Harbor). It took them 6 months to build the exterior and create the landscaping and gardens surrounding it. Many of the flowers around the house were fakes, just like the house! Sisters Sally and Gillian lived here with their aunts Frances (Fran) and Bridget (Jet). There are differences in the book. 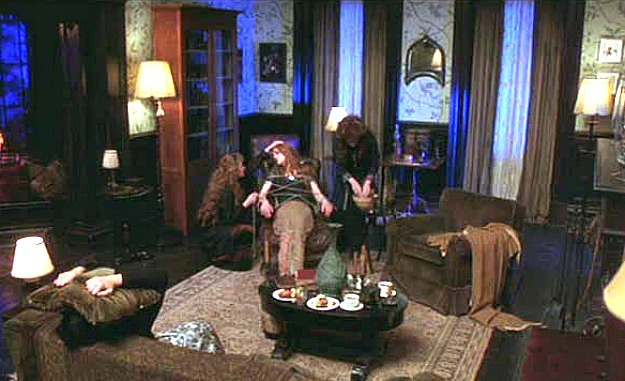 For one thing, the girls don’t live with their aunts like they do in the movie. 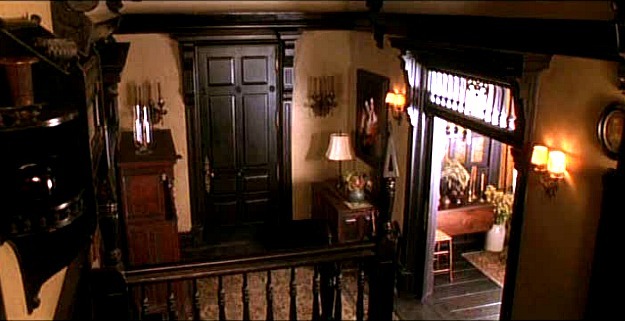 The interior sets were all created in a studio in Los Angeles. Alesch and Standefer decorated the sets with treasures they found through architectural salvage. The props department was tasked with filling hundreds of bottles to put inside these glass-fronted cabinets. Nicole Kidman and Sandra Bullock played sisters Sally and Gillian Owens. Both actresses have starred in other movies with great houses, too, from The Proposal to Bewitched. The stairs go up from the attic to the lighthouse-like tower. 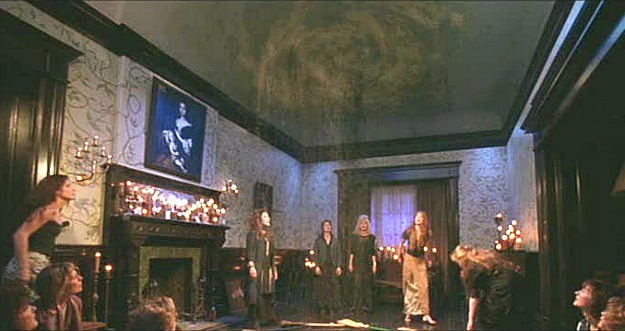 They planned an exorcism of sorts in the parlor. 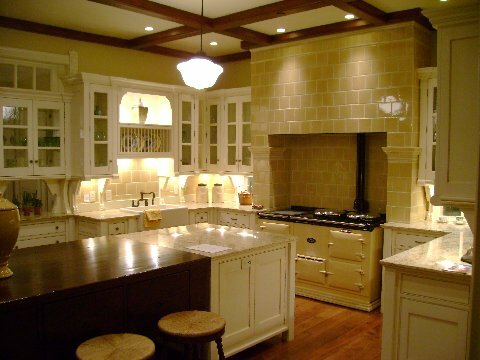 “The Aga is almost like a shrine,” production designer Robin Standefer said of the range in the kitchen. 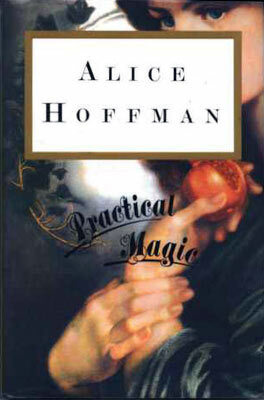 “The house itself has a certain magic to it,” Standefer says. A reader named Derek sent me this photo, explaining that the exterior set was built on an old burial ground, so they weren’t allowed to dig there. 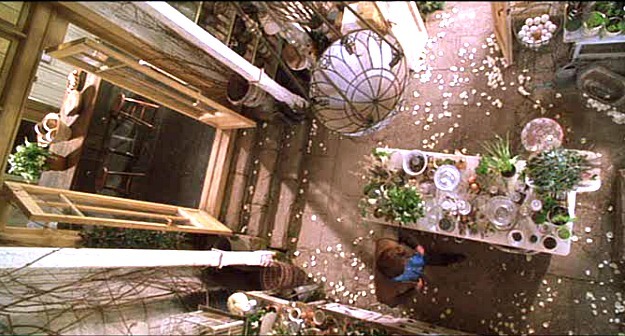 The entire house was built on a giant platform so the earth wouldn’t be disturbed. In this photo he sent me of it being taken down (above), and you can see that it was “empty” inside. I first featured this house back in 2009 but have been collecting (bigger, better) photos of it since then. Hope you enjoyed this update! 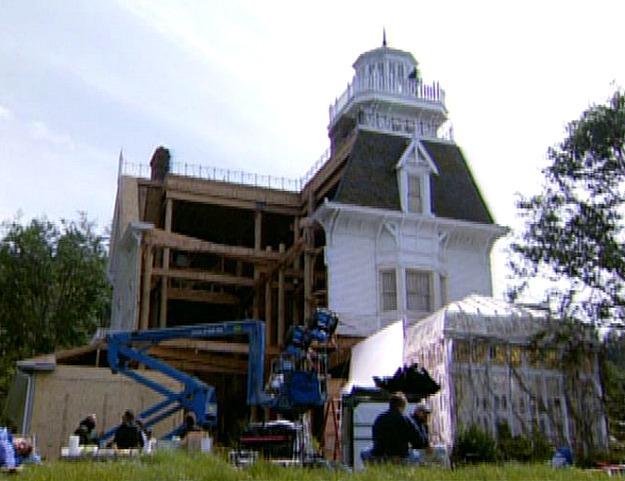 BTW, the town they used for Sally’s shop was Coupeville on Whidbey Island in Washington, and they painted many of the storefronts white for filming.